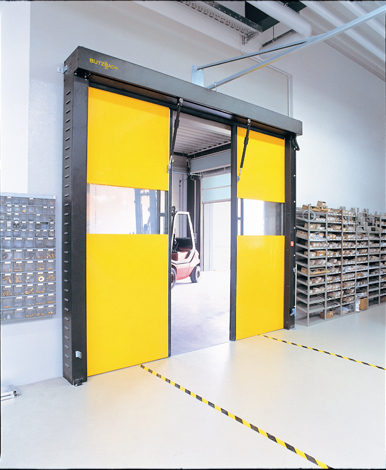 The Butzbach NOVOSPRINT high-speed traffic door is a horizontal high speed traffic door for cold and clean rooms. 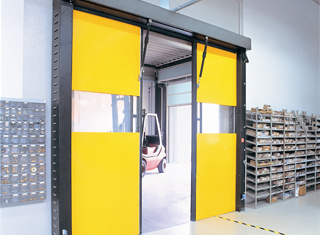 The product maintains the conditions in cold and clean rooms by opening and closing quickly. It has an opening speed of 2,000 mm per second.